A balanced diet filled with nutritious foods not only impacts physical health, but leads to lasting outcomes on the brain. From sharpening concentration to reducing dementia risk, find out how to eat your way to brain health! There are a multitude of diet recommendations that encourage brain health for seniors and the general population. The American Stroke Association suggests a brain-healthy diet can lead to a healthier weight, more energy, regulated hunger hormones, improved focus and concentration, and lowered risk of depression and other mental illnesses. The American Heart Association identifies “brain foods” as fruits, vegetables, fish, whole grains, fat-free and low-fat dairy products, beans, and lean meats. 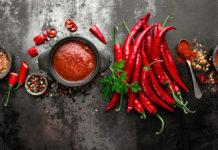 Eating a variety of these feeds and reducing saturated and trans fats, sodium, and added sugars can the risk of stroke by lowering cholesterol and blood pressure that may cause strain and inflammation in the arteries. Albacore tuna and other fatty fish such as salmon, mackerel, sardines, trout, and herring are filled with omega-3 fatty acids. 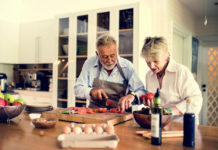 Along with supporting heart health, omega-3s have associated with brain health and warding off Alzheimer’s disease and other forms of dementia. 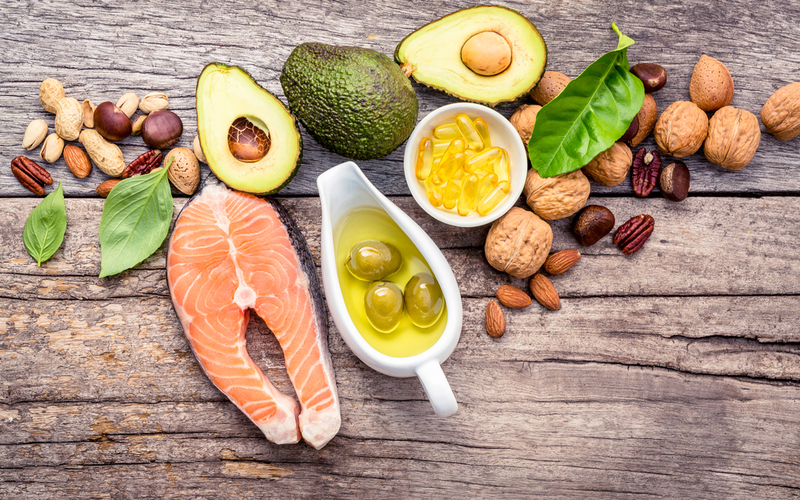 Additionally, low levels of DHA, a type of omega-3 fatty acid, has positive outcomes on learning and memory and reduces the risk of cognitive decline. Enjoy tuna straight from the can, added to leafy green salads, or prepare a healthier-for-you tuna salad: Mix a 5-ounce can of wild albacore tuna with a small avocado, diced carrots and celery, a tablespoon of lemon juice, and salt and pepper to taste. Consume as is or with whole grain crackers, sliced bell peppers and cucumbers, or carrot sticks. Pro tip: Select tuna soaked in water, rather than oil, to reduce unwanted fat calories. Also look for the blue Certified Sustainable food label, BPA-free indication on packaging labels, and “light” or “white” tuna products that are naturally low in mercury. Avocados may exhibit neuroprotective outcomes thanks to their high antioxidant content, suggests Advances of Neurobiology. Antioxidants are chemicals that protect from oxidative stress and cellular damage by balancing harmful free radicals in the body. Avocados may suppress free radical generation, therefore safeguarding against nerve damage and age-related diseases such as Huntington’s, Parkinson’s and Alzheimer’s diseases. Their potassium concentrations may also manage blood pressure to deter stroke risk. Start start your day with these 15 avocado toast recipes, dip into a fresh tomato salsa with avocado, and whip up this avocado ice cream. Beans importance in brain health for seniors can be attributed to their low glycemic index (GI) yet high nutrient content. 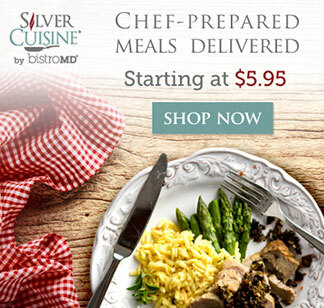 Low GI meals help stabilize blood glucose deliver to the brain and may favor cognitive functioning in adults. Beans are also rich in brain-supporting nutrients, including B vitamins and magnesium. B vitamins help nerve cells effectively communicate with one another, while magnesium may reverse brain aging by supporting brain plasticity, which is the sign of a youthful, flexible brain primed for optimal learning, memory, and cognitive function according to Life Extension Magazine. Throw white, red, black, pink, lima, kidney, pinto, and other varieties into casseroles, soups, chilis, and salads. Also use beans in this blackened tilapia with red beans and rice recipe and black bean omelet. Pro tip: Reduce the sodium content of canned beans by rinsing before use! Berries, such as strawberries, blackberries, and blueberries, are good for brain health thanks to their antioxidant content. According to a study published in the Journal of Agriculture and Chemistry, berries help to prevent age-related neurodegeneration and resulting changes in cognitive and motor function. Berry varieties are versatile in use, including enjoyed simply rinsed, added to Greek yogurt, blended into smoothies, and tossed into salads. Coffee is tied to better brain health in seniors, showing to enhance memory, reduce dementia and Parkinson’s disease risks, stave off from dementia. There is also evidence showing regular coffee drinkers may lower their risk of mild cognitive impairment. A moderated and safe level of coffee intake amounts to no more than four cups of joe on a daily basis, particularly with the consumption of black coffee, not the drinks doctored with syrup, sugar cubes, and a bounty of whipped cream. Pro tip: If not tolerant of plain black coffee, add natural sweetness with a light drizzle of honey and a dash of ground cinnamon and nutmeg. The powerful antioxidant and polyphenol properties and stimulants of dark chocolate may enhance focus and concentration. Along with reducing the risk of cardiovascular disease and certain cancers, polyphenols may defend against brain deterioration and weakening. Simply indulge on a square or two because, well, you should enjoy life’s simple pleasures! Pro tip: Go for a really dark chocolate because the darker the chocolate, the greater the polyphenols. Also be mindful of the added sugars and other ingredients. Eggs, especially the yolk, contain high amounts of choline, a nutrient critical for production of acetylcholine, a neurotransmitter important for memory and communication between brain cells. Egg yolks are also one of the only food sources naturally high in vitamin D, which has been linked to an increased risk of depression and age-related memory loss if deficient in the fat-soluble vitamin. Eggs are eggstremely versatile in the kitchen, including a breakfast frittata, black bean egg white omelet, and a better-for-you eggnog! Beef is rich in iron and zinc, with adequate intake of each being essential in the roles of memory and learning functions and reducing the risk of dementia and cognitive decline. Selecting grassfed beef also provides omega-3 fatty acids. Along with supporting heart health, omega-3s have associated with brain health and warding off Alzheimer’s disease and other forms of dementia. Grassfed beef can be added to various dishes, including into soup, chili, and stir-fry. It can also be produced into a heart-healthy burger and taco meat. Oats are one small, yet mighty whole grain proven to support brain health for seniors. They are rich in folate, which is essential for brain development and mental health, and glucose, which is the brain’s preferred energy source. Oats and other fiber-rich whole grains are also a considerable component in heart-healthy and Mediterranean diets, which are linked to lower risks of cognitive impairments. Prepare these overnight oat recipes for a convenient and nutritious breakfast, along with baking up these delicious and healthy oatmeal cookies! The concentrated polyphenol content in polyphenols has been an area of interest for reducing Alzheimer’s disease. A recent study discovered the polyphenols derived from pomegranate juice may improve memory in older persons with age-related memory decline. Evidence also shows drinking 8 ounces of pomegranate juice augments memory testing and functional brain activation in middle-aged and older adults with mild memory complaints. Sip on the juice or relish on the luscious seeds on their own or these ideas to use them, including sprinkled into salads, yogurt, and oatmeal. Spinach and other dark, leafy greens can help slow down mental decline and keep mental abilities sharp. In fact, research shows people who ate one to two servings per day had the cognitive ability of a person 11 years younger than those who consumed none! 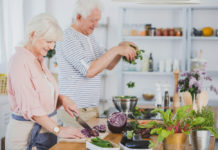 “Since declining cognitive ability is central to Alzheimer’s disease and dementias, increasing consumption of green leafy vegetables could offer a very simple, affordable and non-invasive way of potentially protecting your brain from Alzheimer’s disease and dementia,” states Martha Clare Morris, Sc.D., assistant provost for community research at Rush University Medical Center and leader of the research team. Spinach can be consumed in multiple forms, including stewed into soups, added raw for salads, and blended into smoothies and sauces. It may not be so ironic walnuts resemble the structure of the brain… Like tuna, the brain benefits of walnuts can be attributed to their omega-3 fatty acid content. Walnuts and other nuts also contain vitamin E, a fat-soluble vitamin associated to better cognitive performance and widely explored to treat neurodegenerative disorders such as Alzheimer’s disease. Though walnuts offer valuable nutrients, they are also calorically-dense. Stick to an ounce or ¼ cup serving to keep calories in check and add to yogurt and oatmeal or prepare a homemade trail mix by combining favorite nuts and seeds with dried fruits, including walnuts, pecans, shredded coconut, banana chips, and dark chocolate shavings.